We’re back and just in time for the holidays! I have selected some of my favorite seasonal decor for you to ponder. I LOVE this tree for a few reasons. First, it did not required killing a live tree to sit in your living room for a few weeks only to be thrown away. I have always hated that aspect of the traditional live tree thing. Second, it uses a grey, monochromatic branch which will then become an amazing backdrop in texture and color for more colorful ornaments. Lastly, I love re-purposing something that would have just been used for kindling to create a beautiful object. Always a good thing. On the downside, this tree is no longer available from this retailer, but would be very doable as a DIY project. 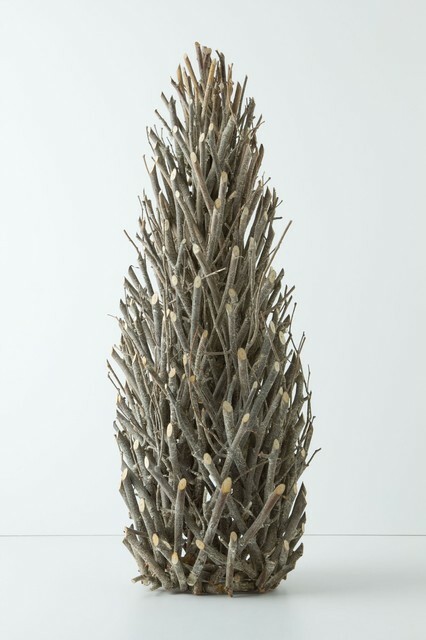 Or even keep it simpler and find a few largish grey branches, put them in a big enough glass floor vase and presto! 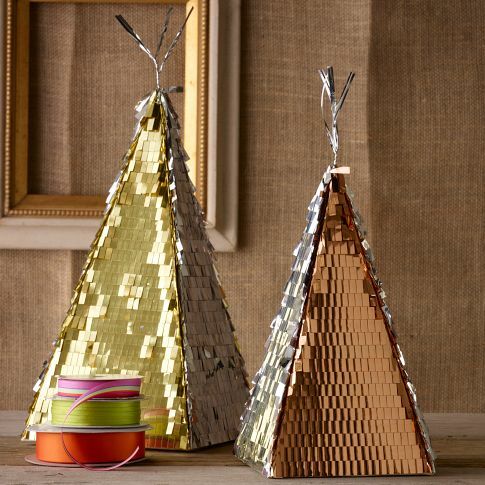 you have the start to a non-conventional and very stylish Christmas tree! Then use very colorful or metallic ornaments for maximum pop or go a more natural, rustic route with burlap or linen ornaments. 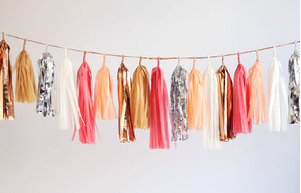 I am a HUGE fan of Confetti System for decorations! All of their products are absolutely gorgeous. They are also making leather and fabric jewelry with the same yummy textures and great colors. LOVE THEM! I think these are a really great, simple ornament. It is all about layers. And while you are in the wood collecting twigs, don’t forget to look for moss or lichen to use in these fabulous Terrarium ornaments! These are beautious. I know that is not a word. But they are. I LOVE anything Confetti System and had to include these as well. To be honest this post would include all of their products if I didn’t feel the need to have more variety. 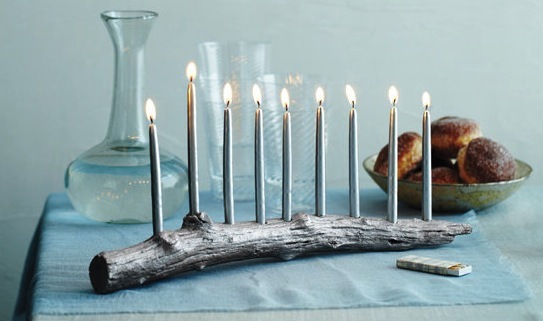 Check out West Elm for a nice selection of holiday ornaments. You can’t go wrong. Just really beautiful, what can I say? And very easy to do. Just spend enough time finding a great branch that is the right size and shape. Off to the woods! I want to wish everyone a wonderful holiday season and hope that it is filled with love and joy. Perhaps we can take a moment to think about how we can bring that to other people every day. With small acts of kindness, a little at a time, we can turn our world around.